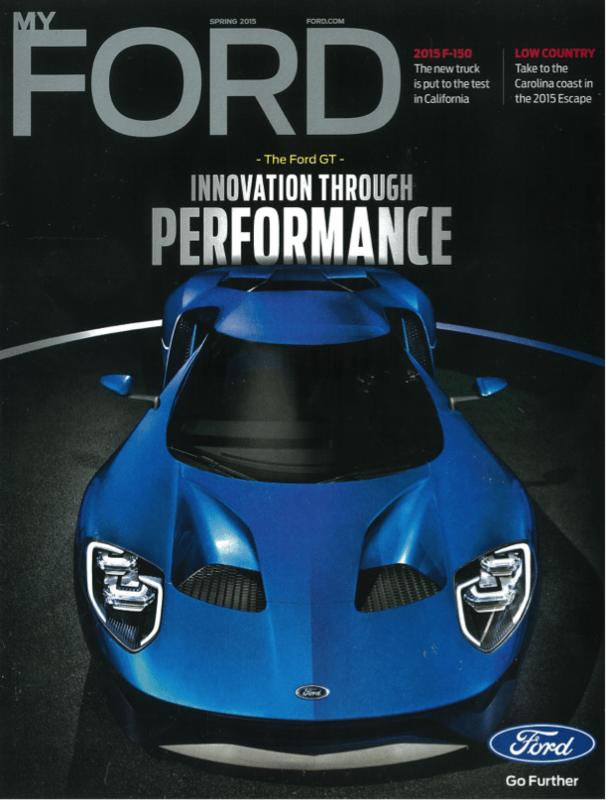 Post-Purchase Engagement: How Does “My Ford Magazine” Stack Up? Last August I bought a new Ford Fusion, and not only did I become a new-car owner—I became a member of a new community: the Ford community. Now, this comes with some perks, such as a subscription to My Ford magazine, one of the brighter spots in my mailbox. 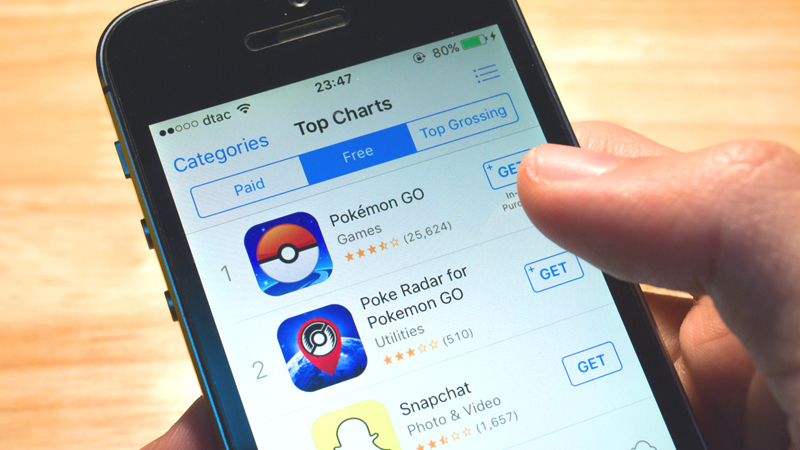 Let’s take a look at how well this nifty quarterly publication is working, and how it could be even better. I appreciate the magazine’s well-thought-out organization and design with lots of snackable bites, pull quotes and info graphics. 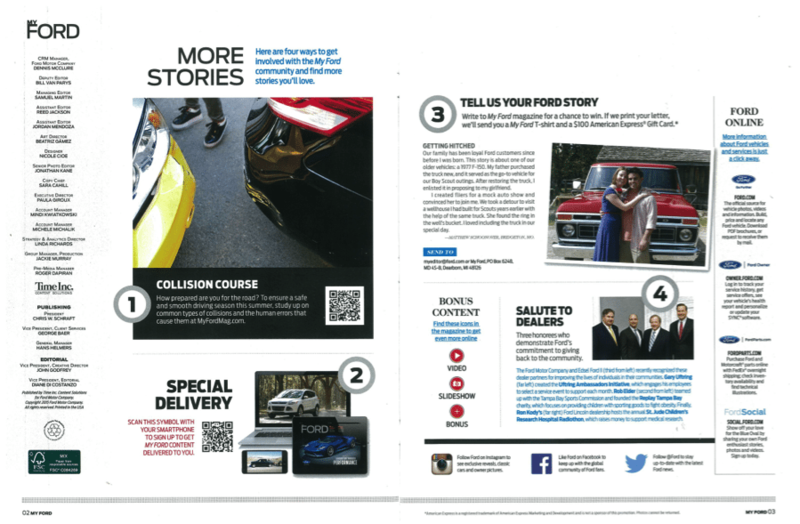 It’s a fresh and exciting delivery, with ample references to bonus content online, or “Web Exclusives.” The “More Stories” spread up front allows readers to submit their own Ford experiences for a chance to win a $100 American Express Gift Card. The departments are Community, Start, Showroom and Ask Ford Service. Community is only a spread; then Start goes on for some 22 pages before you get to the four-page Showroom. And Ask Ford is just one page at the back. This feels unbalanced. I’d recommend dividing Start into three departments: Start, Cruise and Finish, or something similar. 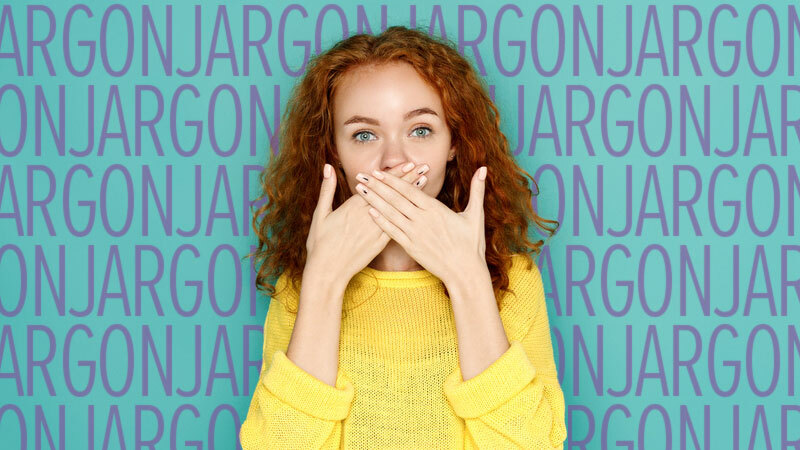 In fact, all of the departments would work better as action words: Connect, Start, Cruise, Finish, Buy, Ask Ford. The writing is solid. For example, the current issue includes a travel piece titled “Escape to the Low Country,” with rich sensory moments in the lead such as: “The Gullah have a word for those who were born and raised in the Low Country. They call them ‘bin yahs,’ people who have been there and know the land—how it smells on the water; how the cicadas start to teem and hum at sunset; how the first frost of the year sweetens the local greens.” Nice! 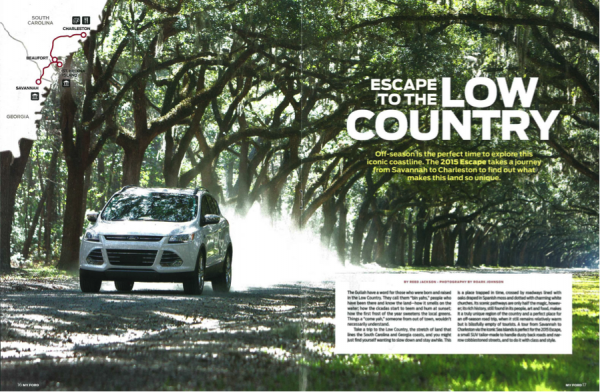 These regular travel features chronicle the type of Ford that’s perfect for a road trip, like driving the 2015 Escape through Charleston, S.C., in the spring issue (or taking a 2015 Edge through the Bay Area, in the winter issue). 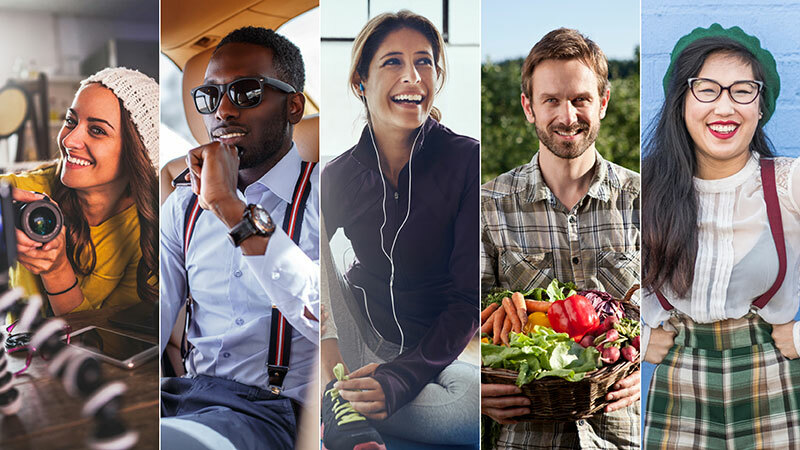 To strengthen this idea and take it beyond a traditional travel feature, I’d recommend working the car’s features into the storytelling, so the vehicle becomes a key part of the overall experience, rather than just a box of “Fast Facts” at the end. The publication gets brownie points for its regular environmental coverage—for example, Ford dealerships using wind turbines—and the handy “Ask Ford” service page. Both are interesting and useful. Is devoting four pages to a “Showroom” in the back a good idea? The intro copy reads, “Take the first step toward finding your next car…” Jeez, I hope that doesn’t happen for another 200,000 miles in my case. Perhaps I’m supposed to pass this magazine along to my friends and family so they can choose their next ride? If the magazine doesn’t have a high “pass on” rate, then I’d recommend a one-page Showroom, referring readers to a larger Showroom online. I love the way the way the magazine makes me feel: All the pictures of sleek sports cars and hipster 20-somethings give me an oh-so-edgy vibe … perfect for my Triassic age of 44. There’s also a feeling of freedom within these pages. They make you want to buy a convertible and hit the road! On the same note, this magazine is working too hard to please too many different audiences, both myself and predominantly 20-something males. That’s just about impossible in 33 pages. Since features such as “Speed Racer,” on rally driver Ken Block, and “Full Throttle,” on the North American International Auto Show, just aren’t in my wheelhouse, how about versioning? Can I get my own My Ford for 40+ females? With perhaps more travel features and more service info, such as how to use all the bells and whistles of the Bluetooth system and how best to service the car itself? Otherwise, that’s going to be a lot of potentially wasted paper between now and the year 2029 when I’ll need to take a serious look at the Showroom. Until then, admittedly, I’ll quickly leaf through the magazine every quarter—and feel proud of how trendy cool I am for being a part of the Ford community. Ford has a great start for what could be highly effective custom content. 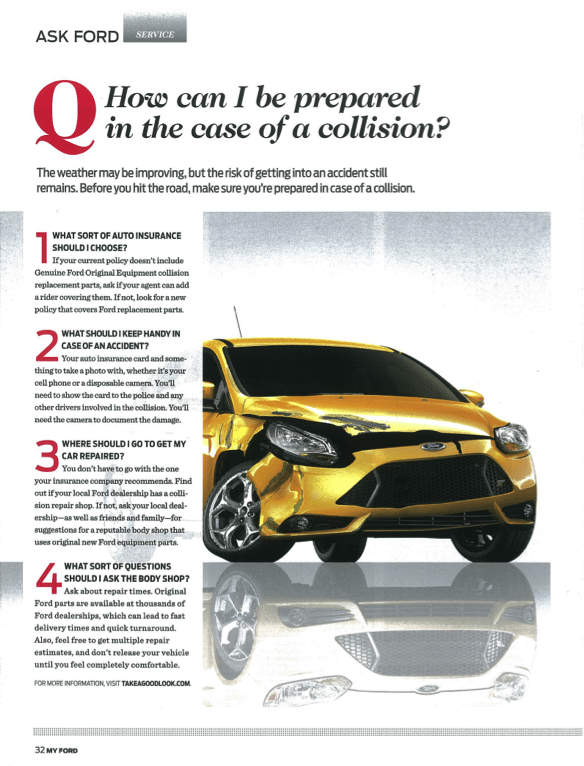 By digging deeper and concentrating on the details, honing the copy and the design, and by versioning the publication to target certain demographic groups, the magazine could become even more useful, and especially, more entertaining, for all proud Ford owners like myself.